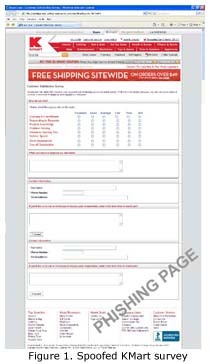 After the Walmart phish, comes the KMart survery form phish wherein it promises to add a $150 to the users account just by taking the survey form. 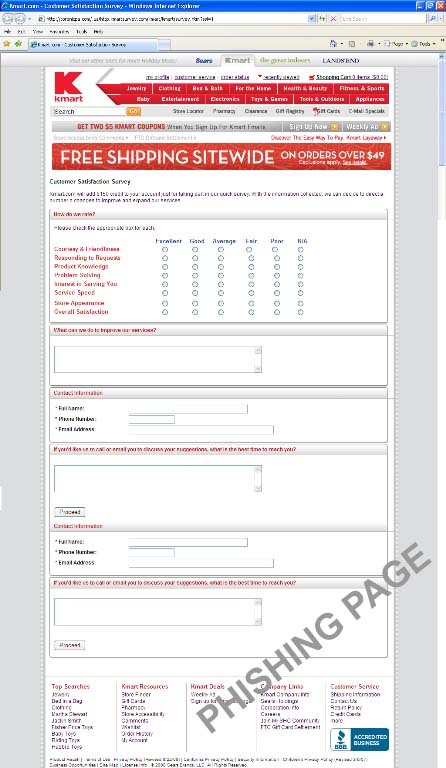 As shown in the verification page, the user has to rate each criterion provided and then the personal information of the user such as full name, phone number and email address as shown in Figure 1. 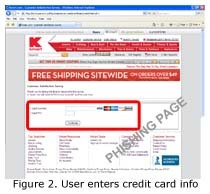 Clicking the proceed button is a Thank you page and a statement wherein to be able to add to the user’s account the $150, the user must enter their Card Number and Card PIN as shown in Figure 2. 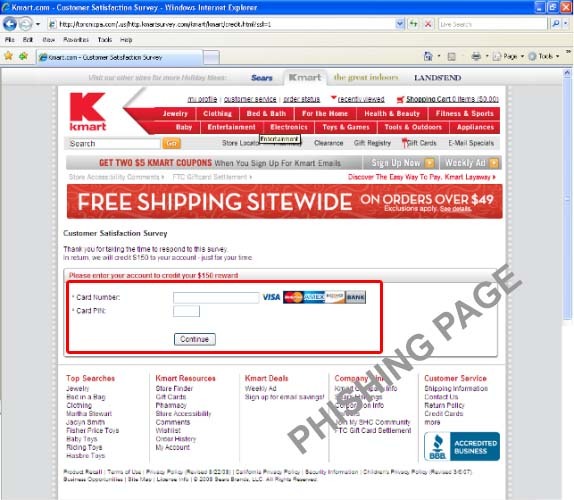 After clicking on the ‘Continue’ button, it will already proceed to the legitimate KMart webpage. As for the phishing URL, it’s already blocked by the Trend Micro Smart Protection Network.